I spent about twenty minutes today peeling Disney Cars stickers from the floor in our dining area. I honestly can’t remember when Titus started sticking them there this week, but I realized just this morning that it had gotten out of hand. There were at least twenty stickers lined up near our table and as I started working on them Titus said, “Dad, this is how you get to Cards Land.” At first I started with my fingers only, but that was leaving the sticker backing on the floor so then I upped my game and went for a razor blade and that “Goo Be Gone” stuff to give me some help. That’s really just my long intro to say we spent a lot of the day today cleaning the house. When we had help here the house seemed to stay a little more tidy, but this past week we just weren’t keeping up. Now I want to be clear I don’t think we’re slobs, but like any family with a new baby we’re adjusting things in our home to accommodate her and her feeding schedule. But it was nice to pick things up, clean some dishes, get some laundry done, and even have the kids do “jobs” around the house. They helped take out the recycling, did some vacuuming in, and Titus even “watched” baby Karis for a bit (and by a bit, I really mean he told me he was watching her for mommy and then quickly went outside to play in the yard). 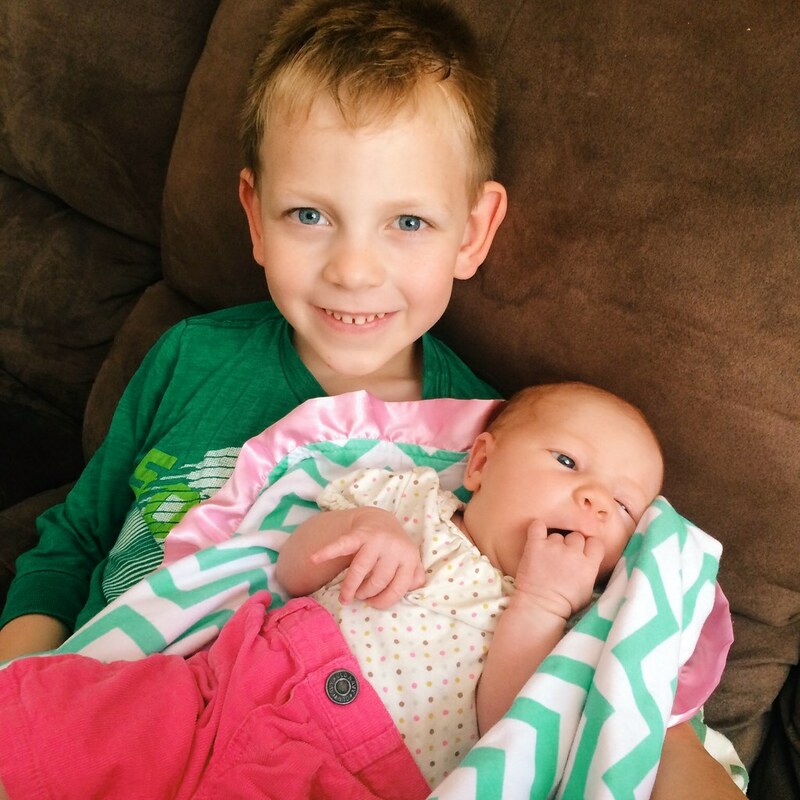 Here’s a photo of Titus holding Karis the other day. I also spent some time today trying to plan out our quick trip to Prague this weekend. We’re headed there for an early U.S. Embassy appointment on Monday. This will be the first meeting to get Karis’ passport, U.S. citizenship, and social security stuff started. We’ve spent this week getting everything in order and are hopefully all ready for Monday’s meeting. I have been studying the metro and tram maps to make sure I can get all five of us around the big city safely and quickly. We tried to plan out where we would eat and made reservations and some places friends recommended, but it will still be a trick to get us around on public transportation. Like most men, I’m pretty confident I can do it but I guess you’ll just have to wait until tomorrow night to find out how I did!